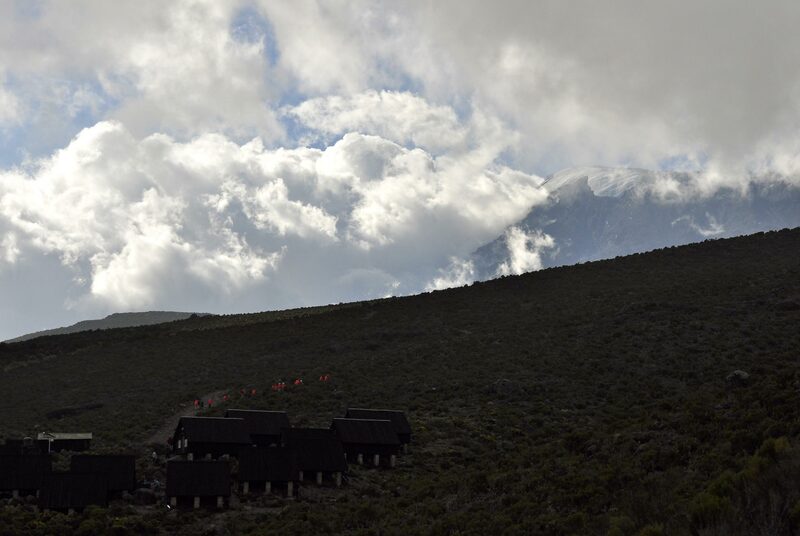 The huts of Horombo sit on a ridge below Mawenzi, at 3,720 meters. After laying down their gear and drinking hot cups of tea, most of the KI climbers go off on an ‘acclimatization’ walk. At this high altitude, the environment starts to take control on whether or not you will make it to the summit.